Everybody needs a holiday break once in a while. Not without a reason school holidays exists and employees have several days off per year. You can stay at home, but to be honest, don’t you rather like to go on summer holiday? Enjoy the Spanish sun at least once a year, like lots of people who don’t like the sad, cold spring and the wet, chilly summer. Blanes is a great holiday resort. As you’ll have something for everyone in Blanes. 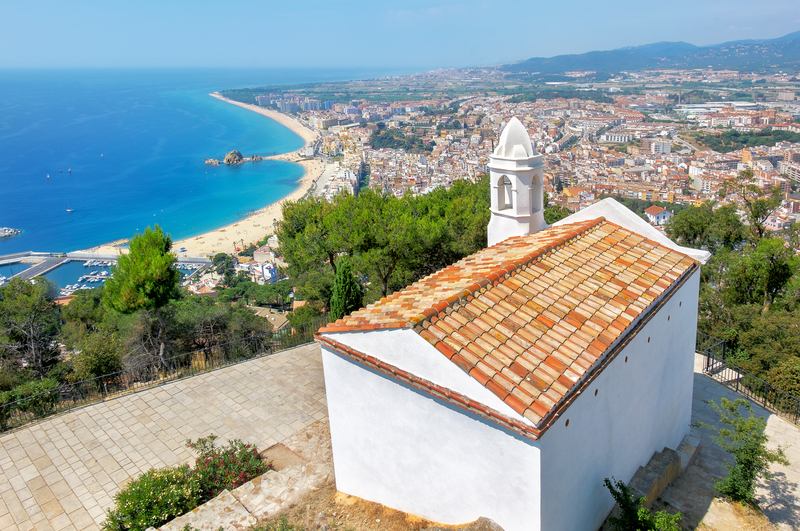 Besides the discotheques in the touristical area, you’ll discover Blanes has lots ofmore to offer. 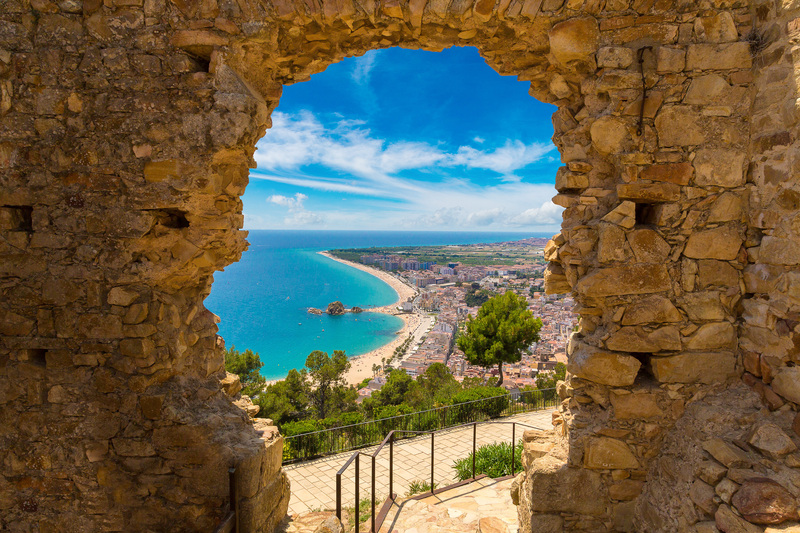 When you’ll read this TOP 10, you’ll find out about the magical details of Blanes. Do you like to make a nice combination of the beach, sports and culture? The port of Blanes makes it all possible! Partly thanks to the fact the port of Blanes is one of the few resorts that still has a working fishing fleet, it’s one of the most important ports of the Costa Brava. It’s highly recommended to be all together in the port of Blanes around 4PM, so you can visit the famous fish market. It’s an excellent opportunity to see the fishing boats come in and to see the fish and seafood with your own eyes. When all the boats are unloaded, it’s time for the fish trade, where you’ll be together with many other visitors like you, and of course the restorers and fishmongers from far and wide. Besides the daily attention to the fish and seafood, the port of Blanes is also a central point when it’s about boat moorings, recreation, sports, sailing schools, diving centers and attractive restaurants. Through all the variety of the port of Blanes, you will not get bored. For a dash of culture, the beautiful rock Blanes comes around the corner. Because, despite the historic storm in December 2008 the symbol of Blanes, the rock Sa Palomera, still shines beautiful. Do you want an unforgettable day with the kids and the family?It’ll be an fun splashing day for all ages at Marineland! The marvelous 2-in-1 water park with marine shows and bird shows is only 6km from Blanes. Marineland is attentive to children. There’s even a special section for children, where they’ll enjoy their own slides and other water attractions under the supervision of the lifeguards. In the water zoo the dolfins are stealing the show. 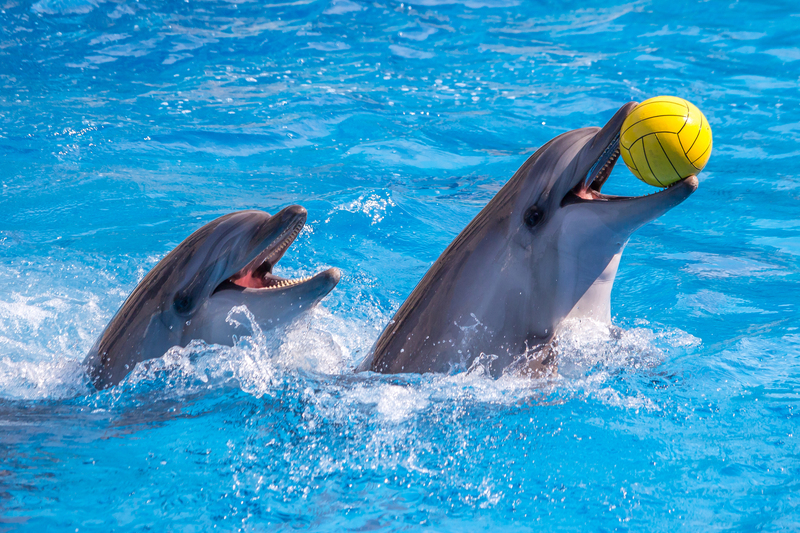 During their show, the dolfins and their trainers demonstrate the most amazing tricks. And when you’ve seen the dolfins, there’s more. The sea lions and the not less intelligent parrots are ready to give you their show. When you go on holiday to Blanes with your family or friends, a day at Marineland can’t be missed! Note: From Blanes you can go with the direct and free bus service to Marineland. Enjoy a day out on the water! A catamaran trip is the best choice if you want to relax and enjoy the beautiful weather and the sea! Go to the beach of Blanes and come on board of the catamaran. The crew will ensure the right course and will provide you something to eat and to drink. Find your favorite spot on the deck and let the sun brown your skin tranquil, while a pleasant sea breeze provides you refreshment. It’s a great treat when you’re on holiday! In about an hour the catamaran anchorages. It’s time to make a bommm in the water! Jump on the water trampoline, relax on one of the floating mats or visit the underwater world and search for ‘Nemo’, his family and friends when you’re snorkeling. 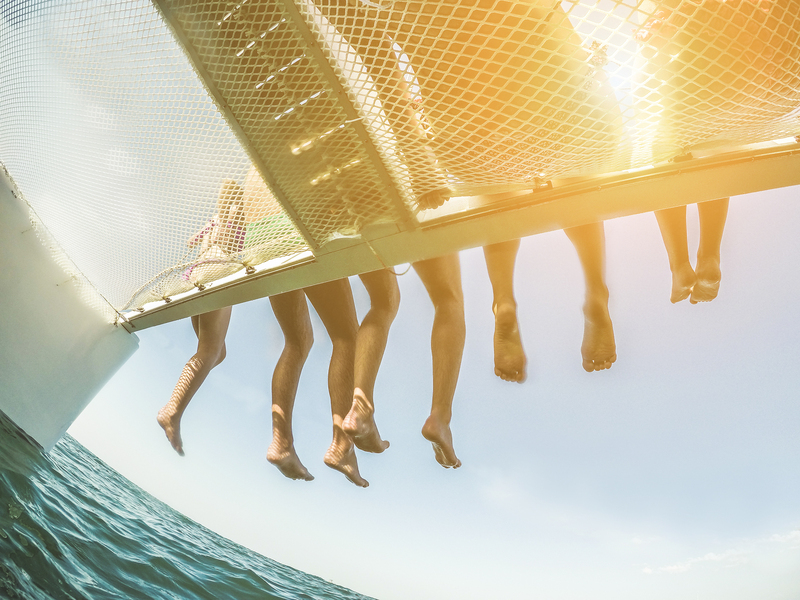 Weather you’re with your family or with a group of friends, a catamaran trip makes sure everyone will have fun and will find their moment of relaxation! Walk among beautiful exotic plants and flowers, and let yourself get carried away by the summer floral fragrances. 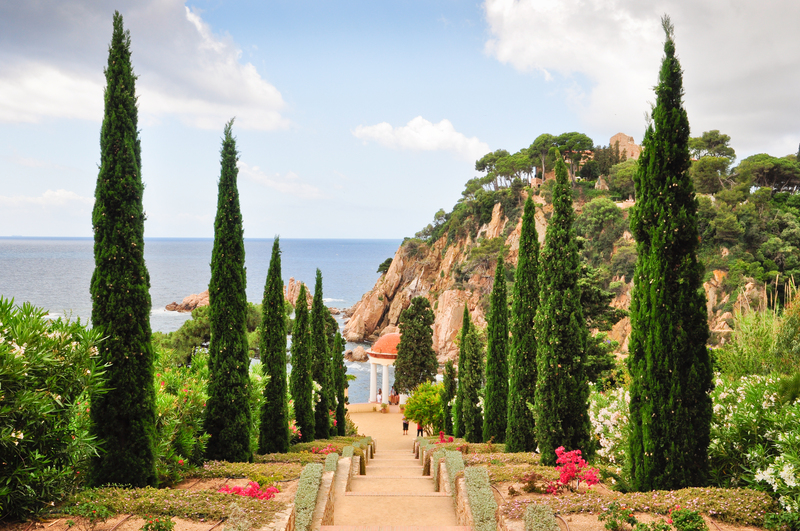 Halfway, on the beautiful hill of Sant Joan lies the dazzling and very famous botanical garden of Blanes, Mar i Murtra. This botanical garden is like a balcony on the first cliffs of the Costa Brava. At the beginning of the 20th century Karl Faust designed this wonderful botanical garden and kept it under his wing. To realize this big project he collaborated with the best architects, landscapers and botanists of that time. Before you actually come into the garden, you’ll pass a gate and a wonderful interesting building. The building was designed by Josep Noucentiste Goday. The beautiful colorful garden, of approximately 5ha has spectacular walking paths through the gardens and along the coast. The more than 4.000 species of flora can be devided into tropical, temperate and Mediterranean. 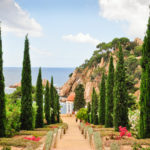 Get surprised by this breathtaking botanical garden of Blanes, just how more than 100.000 visitors already got surprised. Discover the known and less famous parts of the old center of Blanes. Discover the historical heritages of Blanes. In the village you’ll find traces of the Iberians, Romans and especially the Catalan bourgeoisie of the 19th century. The medieval center of Blanes has many cultural delights in its small historic streets. For instance, Capilla de la Antigua, which is probably most ancient heritage of Blanes. Another highlight is the square Plaza de la Virgen Maria, which was once the place where fish was sold. A small detail is its retained middle-aged entrances to the ancient walled town. During a walk through the ancient part of Blanes you’ll discover architectural marvels, as the heritage Casa de la Vila (the town hall), the Fountain of Cristalina Mina (1854), the Gothic fountains from the 15th century and the square Plaça dels Dies Feiners, where once the market of Blanes took place. 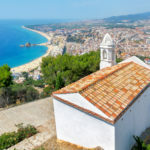 Other interesting places of Blanes which are worth your visit: Casa Tordera (modernist house), the together standing stately homes and medieval houses on Carrer Ample, the parish church and the former Viscounts of Cabrera, which show a wonderful heritage of the Gothic style. You can perfectly combine nature, culture and history when you admire the unique village Blanes from the hill Sant Joan! On the north of the port of Blanes is the foot of the hill, on the road to Cala de Sant Francesc at the first intersection. Start with a fascinating hike to the top of Blanes (166m altitude). No matter in which direction you’ll turn, you’ll enjoy a beautiful view. In addition, on top of Sant Joan you can also visit the castle Castell de Sant Joan. 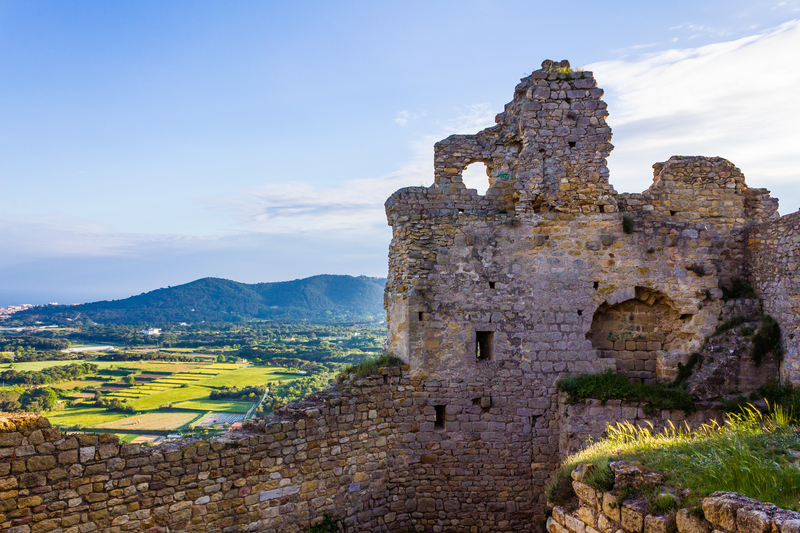 The 11th century castle is also known as Forcadell. From the medieval castle the defense tower and part of the wall are remained. Just outside the castle you’ll see Ermita de Sant Joan. Due to lack of space, it was built outside the castle in the 13th century. 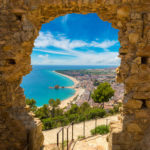 You can enjoy your way up to the top of Blanes by foot, but you can also take the mini-train from Plaza Catalunya to Castell de Sant Joan. Do you want to experiencesomething spectacular? We invite you to the largest fireworks competition in Europe! In the 3rd or 4th week of July is the annual fireworks competition of the Costa Brava in Blanes. Not only many Spanish participants join the Concurso de Fuegos de Artificio de la Costa Brava, but also foreign participants show their arts of firework. Of course, there will be only one winner, who will be rearded with many honer for his work and the trophy Vila de Blanes. Each year the fireworks in Blanes are a great success. The beaches, the terraces, the footpaths, the mountain of Sant Joan and even from the boats on the water it’s full of people. Every day there are in about 120.000 to 150.000 visitors to watch the fireworks show in Blanes. Note: The access to the center of Blanes is very limited, as well before as after the fireworks show. Make sure that you’re early in Blanes to pick your spot and take your time. Every Monday morning it’s happening again, on the promenade in front of the old center of Blanes. Yes, it’s market time! Are you the fruity type or are you just set for a summer day with fresh fruits? Perfect, because every morning, except on Sunday, market vendors are ready for you with their fresh fruits, vegetables and local species on the ‘Passeig de Dintre’ (the street which is parallel to the promenade of the historical center of Blanes). In the street ‘Mas Enlaire’ is the so called ‘Mercat Municipal‘. 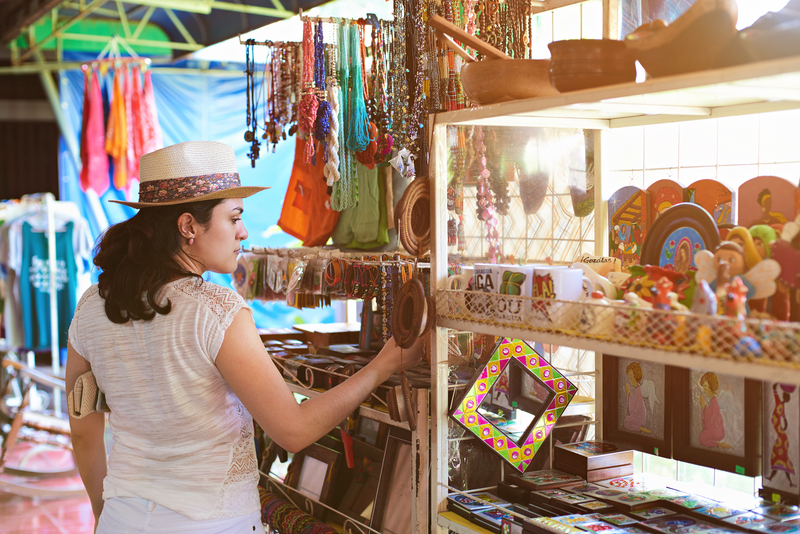 Here you find over 100 stands selling food, household resources and much more. Most markets are in the morning. Aren’t you the morning brightest person? No problem. Take your chance on Monday to Friday in the afternoon! Go up to the port of Blanes around an hour of 4PM and watch the fishing boats coming in and see how things are going at the fish auction. Speed devils go ahead on the kart court of Blanes! Are you a speed devil and do you love sensation? If so, get ready for a race on the kart track of Blanes! 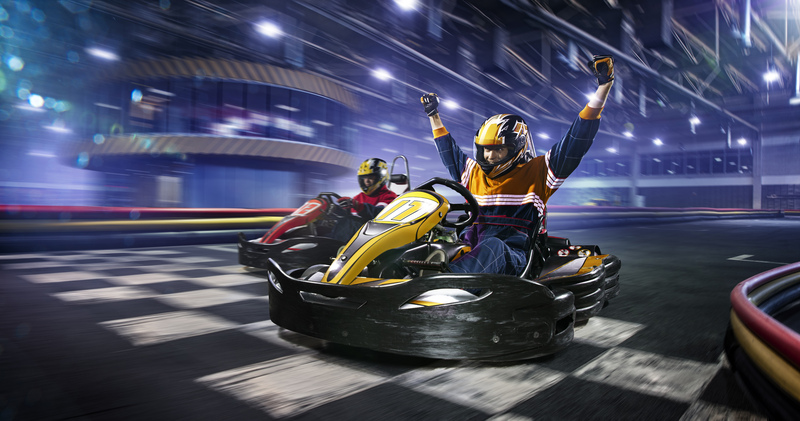 Show on Go Kart Blanes what kind of a awesome race car driver you are. There are different types of karts. The fastest kart allows you to go over the track with 130km/h, but you can also slow down a bit. After all, fun is always first priority. Get some real control over the kart and work on your techniques with the normal kart, which goes 60 km/h. And for children there’s a special track and karts which go up to 25 km/h! Something makes Go Kart Blanes even more special. It is the opportunity to race in the evening! It’s more exciting and the special lightning make it complete. There’s also a bar and a terrace where you can take a drink. Of course, from here you’ll have a perfect view on the kart track. From early in the eveningn till the morning Blanes is a life during summer! On a summer evening it’s lovely to relax in a bar or on a terrace. 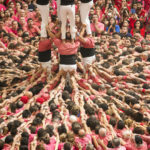 Blanes is more focused on family tourism. Therefore, it has less discotheques than for example Lloret de Mar. Nevertheless, there’s more than enough to enjoy a cozy evening in Blanes. When you’re in Blanes, you’ll notice Blanes is divided in two parts with each its own atmosphere. In the medieval center of Blanes you’ll find near the harbor small cozy bars and attractive terraces. It’s the perfect place for a drink or a delicious fruity cocktail with your family or friends. At the other side of Blanes, in the mordern (touristical) part, nightlife keeps on going until early in the morning. 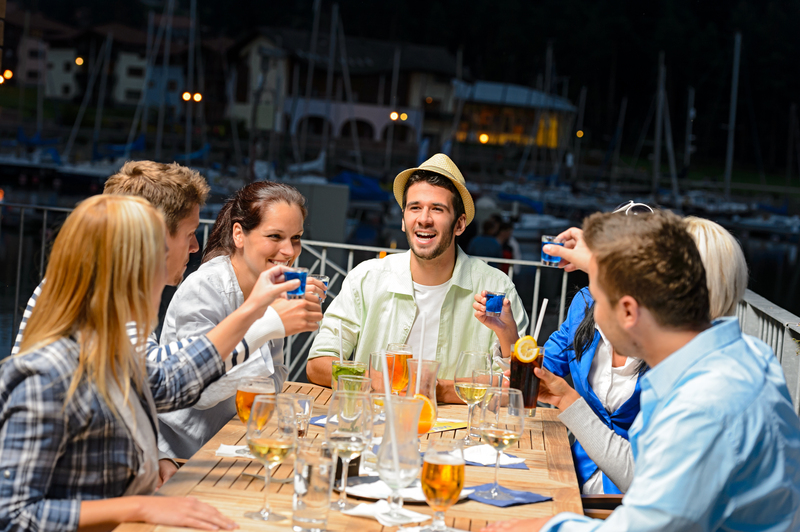 Here, you’ll find the discotheques of Blanes and international cafes and bars! A small village as Blanes has a lot to give. You can make it as relaxt or active as you prefer. You can understand that we can’t put everything in this TOP 10. Therefore, take a closer look and zoom in on Blanes.